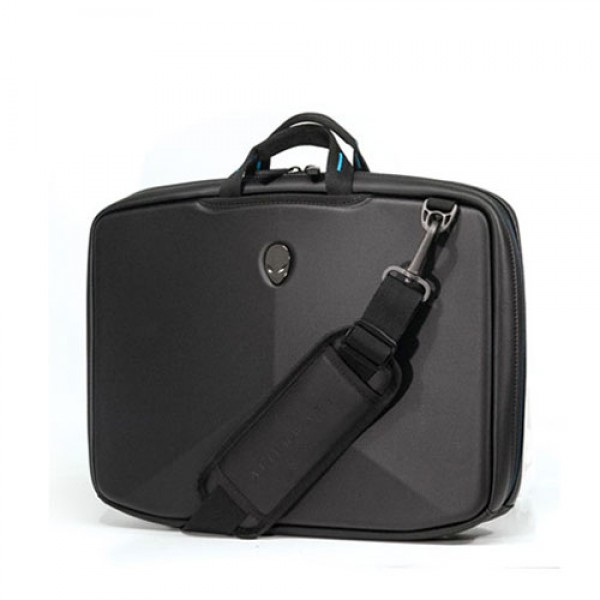 Maximum screen size compatibility 17.3"
Whether itâ€™s for transporting your laptop by itself or in another bag for added protection, the Alienware Vindicator Neoprene Sleeve had you covered.undoubtedly feel safe and sound in its new suit of armor. Added protection: Flexible neoprene padding conforms to your laptop to create a perfect fit and word off scrapes and scratches. Stays Put: The non-slip base keeps the sleeve from moving where itâ€™s placed, while the top loading nylon handles have your system ready to grab and go. Pack in the goods: An oversized exterior zippered pocket allows you to store additional accessories.